Shahana literally means “of royal demeanour” (Shahi) and while it shares the notes with Bageshri, it has a measured gait and approach. Shahana begins with a deep dive into the lower octave, laying the foundation of the raga – sort of heralding the onset of the main melody. The main melodic line then makes an appearance, slowly climbing the notes, till it hits its main emphasis point: the 6th Note Dha. Thereupon the effect of Shahana is felt, and its sober personality revealed. This also distinguishes Shahana from its close cousin with the same notes : Bageshree. Shahana Kanada is a variant of Shahana where the Kanada treatment is more pronounced. Debate rages as to whether the two ragas are the same. In my opinion it is a matter of degree – if you dial up the Kanada treatment, it may well be called Shahana Kanada. The above approach to Shahana is the stock standard Shahana. However, Shahana can be played in a lighter vein, almost Khamaj like (as it shares the same notes as Khamaj barring the the third – Ga, where it has komal instead of shuddha. Some performers have chosen this option, frowned upon by purists. It ultimately comes down to a matter of personal aesthetics. Keen students can observe that the ascending notes of Shahana are identical to the raga Bahar, and there is a variant called Shahana Bahar which does just that. I first heard it from sitar virtuouso Shri Debu Chaudhuri. At that time I was just a young kid and could not comprehend the interplay and distinction between the Bahar and Shahana elements. By far, the greatest body of work on Shahana on the sarod is by Ustad Amjad Ali Khan. His Shahana remains a benchmark of expression and compositions. 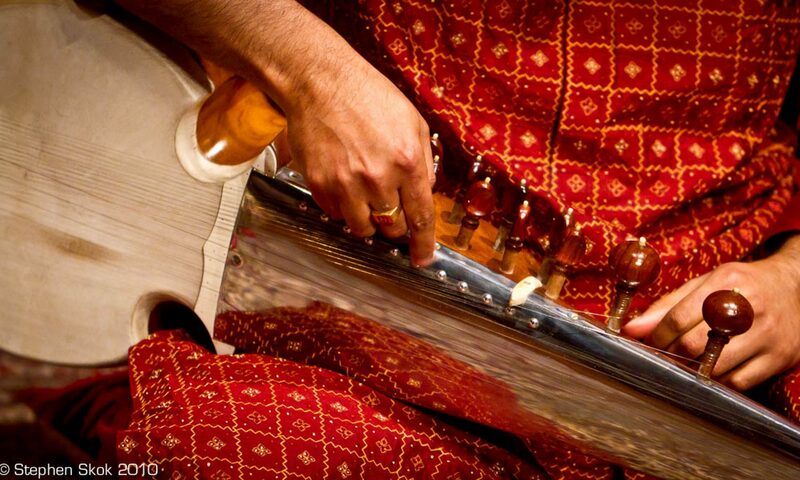 As is his style, he adapts vocal compositions to the sarod. Late Pt Buddhadeb Dasgupta also played Shahana (including in the book The Raga Guide) using one such composition. I learnt these from his senior disciple Pandit Sugato Nag.